This is one of the best macaroni and cheese recipes that I have ever eaten. You definitely need to like spicy foods to eat this, but “Oh, so good”. 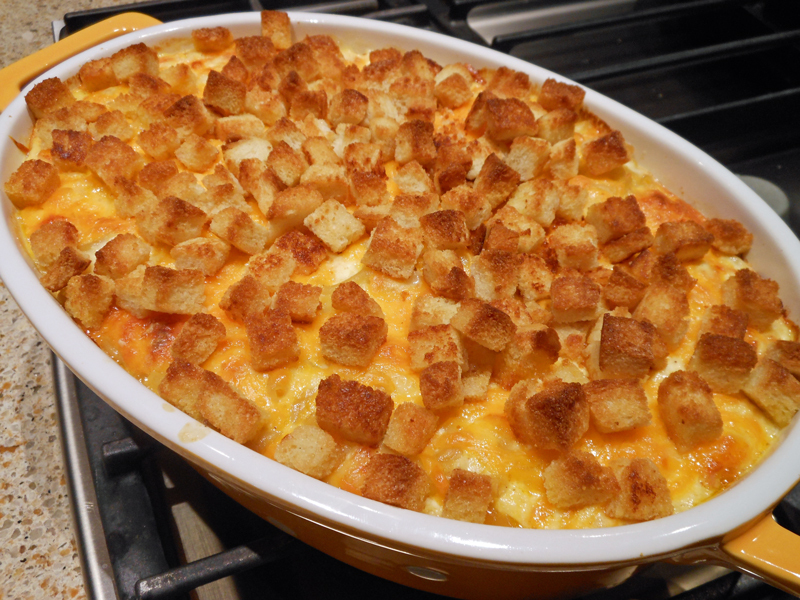 If you want to make this delicious casserole not so spicy, just substitute Monterey Jack cheese in place of the Pepper Jack cheese. You won’t be disappointed!! 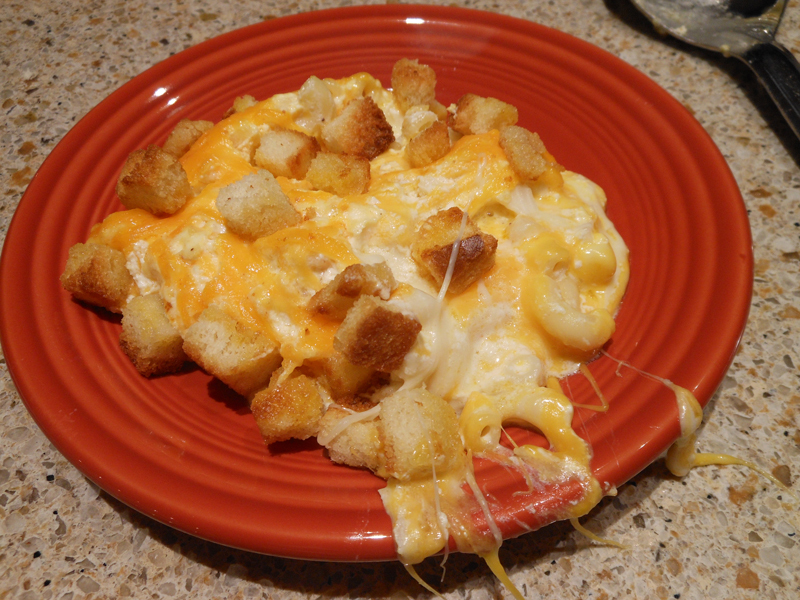 In a large bowl, toss together the pasta with the cheese cubes and pour into a 2-quart baking dish. In a large bowl, mix together the flour, salt, cayenne pepper, dry mustard, nutmeg. Add the sour cream, egg, heavy cream, half-and-half. Pour over the pasta and cover with the shredded Cheddar. Bake uncovered until the top is just beginning to brown, about 35 minutes. Hi Dix, this looks terrific!!! However, I can only get the picture & not the recipe!! It is probably me. Would LOVE the recipe! H.